Oilfield factoring is a financing solution for service contractors and suppliers in need of immediate cash. 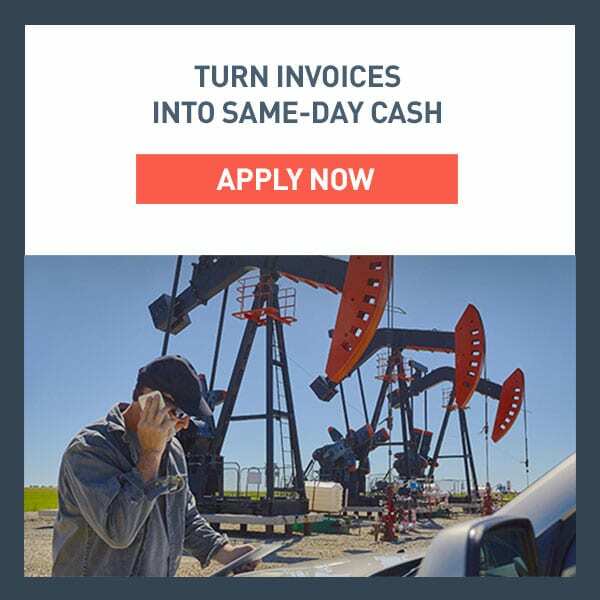 Oilfield invoice factoring supplies consistent cash flow enabling companies to meet payroll, manage their expenses, and grow their business. Factoring is a straightforward process. An oilfield services company or oilfield supplier provides work, services, or products to their customers as usual. When it’s time to invoice the customer, the company sends the invoice to their factoring company, such as TCI Business Capital. The factoring company advances the client a percentage of the value of the invoice, usually 90 percent, that same day. The invoice is forwarded to the client’s customer, who pays it in their regular terms. When the factoring company receives payment on the invoice, the remaining balance gets remitted to the client, less the factoring fee. What are the Benefits of Oilfield Factoring? Oilfield service companies typically wait 30 days, 60 days, or longer on payments from their customers. Factoring eliminates the wait by supplying a significant cash advance to the client. Instead of wondering when payment will show up, or worrying about having cash available for expenses, company owners can focus on the job at hand. One of the top benefits of oilfield factoring is companies that do not qualify for traditional lending, are quickly approved for factoring. Factoring lines are based on your customers’ credit and payment history, not that of your business. Applying for and setting up an account for factoring is also much faster than traditional bank financing. At TCI Business Capital, we offer quotes in as little as 15 minutes, and our new client onboarding process is designed to get clients funded as fast as possible. Why Oilfield Services Companies Choose TCI Business Capital? Quick Quotes: We can offer your company a factoring quote in as little as 15 minutes. 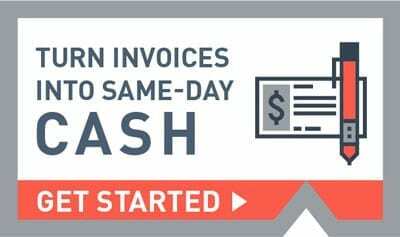 Fast Funding: Once your account is set up and active, we provide same-day funding of your invoices. Competitive Rates: Factoring rates customized to fit your business needs. Growth Opportunities: Factoring lines ranging from $50K to $20MM. Customer Service: Dedicated relationship managers and funding teams, with knowledge and experience including integration with billing software, image archiving, and payment postings. Credit Analysis & Risk Management: We make credit and payment information available, so clients make the right choice when working with new customers. Accounts Receivables Management: Our dedicated team ensures your invoices are paid on time and the relationship with your customer stays strong. Online Reporting: 24-hour access to account activity and reports. Industry Expertise: We factor companies working in a variety of segments in the oil and gas industry. At TCI Business Capital, we are driven to provide our clients with superior service and support. Since 1994, TCI Business Capital has become one of the top oilfield factoring companies in North America. We customize each factoring program to meet the specific needs of the client. We understand the oil and gas industries and know the challenges oilfield service providers face. Invoice factoring with TCI Business Capital gives oilfield services companies and oilfield suppliers the ability to meet the financial demands that come with running a successful business. Our company has been with TCI for several years and the service their team provides is second to none. With the downturn in the economy over the past couple of years, we have faced some extreme challenges and they have gone over and above to assist us any way they can. In all areas their staff is always very knowledgeable, professional and courteous. – Peggy B.